1969 – Hired by Donald RumsfeldAssistant – Office of Economic OpportunityHelped Nixon impose control over the office, specifically the legal aid program. Terry Lenzner says Rumsfeld and Cheney were used by the White House to fire lawyers who brought class action suits on behalf of the poor in Nov 2007. When Nixon resigned in August 1974, Rumsfeld was asked to be Ford’s chief of staff. Cheney became Rumsfeld’s Deputy. When Rumsfeld moved to become Secretary of Defense, Cheney became White House Chief of Staff. In December 1974, The New York Times reported that the CIA had engaged in an illegal domestic spying program for two decades, tapping phones, opening mail, and breaking into homes of antiwar protesters. The article, by investigative reporter Seymour Hersh, prompted a congressional uproar. Cheney pushed the idea of indicting reporter Seymour Hersh using the 1917 Espionage Act for revealing that US subs were eavesdropping on Soviet underseas cables in May 1975. Cheney, Rumsfeld, and then CIA director George HW Bush fought FISA. 1978 Cheney wins seat in Wyoming.He Specialized in Intelligence Matters. late 1990, when Cheney urged Bush to launch the Gulf War without asking Congress for authorization. As they prepared to attack the Iraqi forces, Cheney told Bush that it was unnecessary and too risky to seek a vote in Congress. But Bush rejected Cheney’s advice and asked Congress for a vote in support of the war. The resolution passed — barely. Had Congress voted no, Cheney later said, he would have urged Bush to launch the Gulf War regardless. After civilian Pentagon lawyers clashed with military attorneys over the handling of any bodies contaminated by biological weapons, Cheney asked Congress to change the law to place all military attorneys under the control of civilian political appointees. 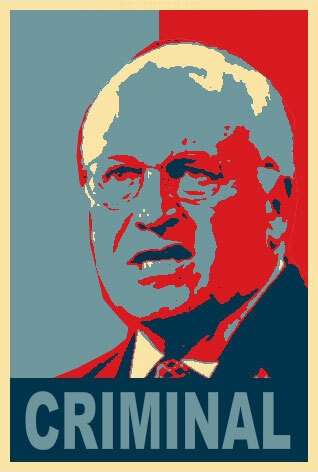 Congress rejected Cheney’s proposal. But in March 1992, Cheney’s deputy issued an administrative order defying the expressed will of Congress.